POS Global offers a variety of Data Networking Gateways, Telephony Gateways options. Browse our selections and feel free to contact us for more information or to see how our products can benefit your company. Plan on buying something else? Don't forget to purchase video Surveillance and protect your finances, property and employees. M800 (Redundant configuration including ESBC); On-site Implementation Support. On-site set-up and configuration of AudioCodes redundant pair of products at the same site.Â If implementation is to be at different sites, please select the single product implementation P-N with quantity of 2. 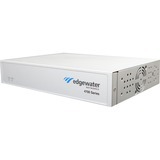 M800 Enhanced (Redundant configuration, including ESBC, MSBR, E1-T1 Trunks and FXS-FXO Ports); Onsite Implementation Support. On-site set-up and configuration of AudioCodes redundant pair of products at the same site.Â If implementation is to be at different sites, please select the single product implementation P-N with quantity of 2. 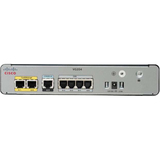 M800-CCE (with ESBC and E1-T1 Trunks and FXS-FXO ports); Onsite Implementation Support. On-site configuration, set-up and troubleshooting of AudioCodes product. Includes- Short planning session, Installation and configuration of the CCE, Configuring the integration between the CCE & O365 tenant, Configuring the GW section for connecting to PSTN, Enable 3 test users for testing. Redundant AudioCodes CloudBond 365 Standard Edition Basic Remote Implementation (Pool Pairing) (see Notes in AudioCodes Pricebook and-or the Service SOW). Planning and design service should be ordered separately. Remote set-up and configuration of Mediant 800 pair (not including E-SBC) and redundant configuration (pool pairing) of Skype for Business in AudioCodes CloudBond 365, including set-up, configuration and Integration of Skype for Business and PSTN, connected to AudioCodes CloudBond 365 and existing customer infrastructure (for services scope, see Notes in AudioCodes Pricebook and,or the Service SOW). If implementation is to be at different sites, please select the single product implementation P-N with quantity of 2. AudioCodes CloudBond 365 Standard Edition with SBC - Basic On-site Installation & Implementation (see Notes in AudioCodes Pricebook and-or the Service SOW). Planning and design service should be ordered separately. 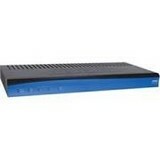 On-site set-up and configuration of Mediant 800 Gateway (with E-SBC) and Skype for Business in AudioCodes CloudBond 365, including physical placement, connection of power and network cabling, and basic HW functionality, configuration and Integration of Skype for Business and SIP Trunk, connected to AudioCodes CloudBond 365 and existing customer infrastructure (for services scope, see Notes in AudioCodes Pricebook and-or the Service SOW). Redundant AudioCodes CloudBond 365 Standard Edition with SBC - Basic On-site Installation & Implementation (Pool Pairing) (see Notes in AudioCodes Pricebook and/or the Service SOW). Planning and design service should be ordered separately. On-site set-up and configuration of Mediant 800 pair (with E-SBC) and redundant configuration (pool pairing) of Skype for Business in AudioCodes CloudBond 365, including physical placement, connection of power and network cabling, and basic HW functionality, configuration and Integration of Skype for Business & SIP Trunk, connected to AudioCodes CloudBond 365 and existing customer infrastructure (for services scope, see Notes in AudioCodes Pricebook and,or the Service SOW). If implementation is to be at different sites, please select the single product implementation P-N with quantity of 2. """Mediant 1000B with one Active-Standby pair of GE interfaces Includes Mediant 1000B chassis, one pair of GE ports, and single AC power supply. Order M1KB-SWX module for additional 2 pairs of Active-Standby GE interfaces.""" 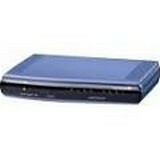 MediaPack 202R VoIP Analog Telephone Adapter with 2 FXS ports. Fits to BroadSoft BroadCloud environment. Including 2 FXS ports, 128M memory ,USB interface, single WAN port, and a single LAN port. Includes an internal LAN-WAN active relay. Preinstalled with BroadSoft PacketSmart probe.